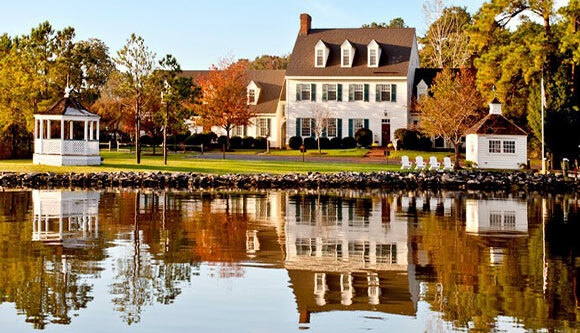 Inn at Osprey Point in Rock Hall, Maryland is an Eastern Shore luxury retreat on the shores of Swan Creek. Offering everything an amorous couple needs, the inn features a restaurant boasting upscale dining in a low-key setting, a picturesque marina with an outdoor swimming pool, bicycles and kayaks for guests, and accommodations in three unique venues. Sip wine on the open porch of the Annex while you watch the sun go down. 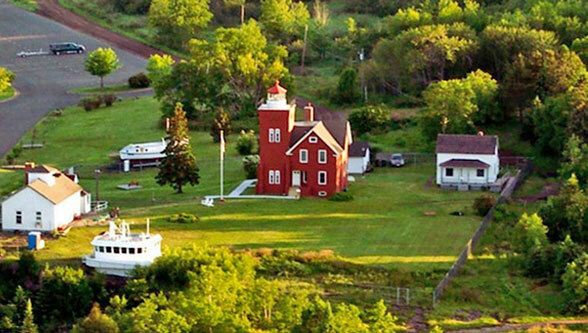 Lighthouse Bed and Breakfast in Two Harbors, Minnesota offers couples the unique experience of staying in a working lighthouse on the shores of Lake Superior. The guest rooms boast unsurpassed views from the queen-size beds; even the bathroom has a lake view. For extra privacy, the inn offers the detached Skiff House which features a jacuzzi tub. Many lovebirds choose to walk hand-in-hand along the Sonju Trail around the lighthouse. 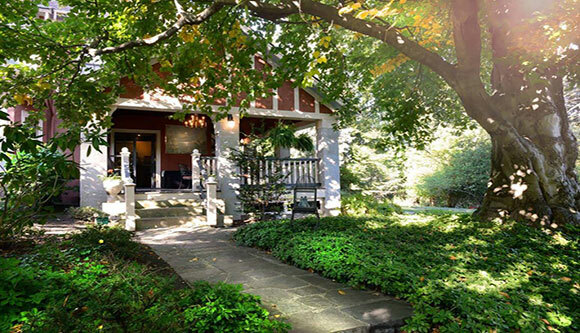 The Ellwanger Estate in Rochester, NY, offers a peaceful atmosphere of rejuvenation and relaxation throughout the historic B&B. As an urban retreat tucked into a country setting, it provides access to nature as well as a licensed massage therapist for Swedish and therapeutic massages for both singles and couples. King and queen “PRANA” beds supply plenty of comfort for dreaming and snuggling. Additional room amenities may include claw-foot tubs, hypoallergenic rooms, or a private sitting area. The romance continues into the morning hours with a farm-to-table breakfast served by candlelight. 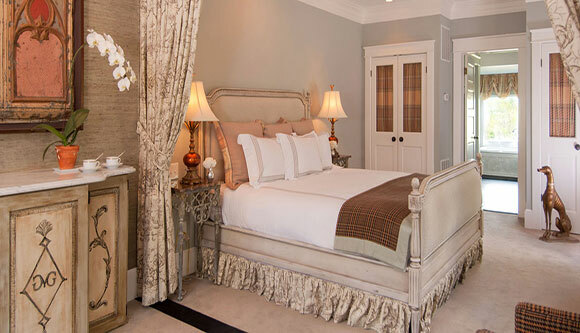 34 State Historic Luxury Suites in Skaneateles, New York is a combination of elegance, luxury, and whimsy. The former home of artist John D. Barrow, art enthusiasts will be pleased to know that the inn features many of his museum-quality paintings including one in each suite. A grand columned porch welcomes guests to their private suite entrance. Multiple romance packages may be customized to include roses, breakfast in bed, a four-course dinner, a chauffeured wine tour, or a private yoga-Thai massage session. Glen Gordon Manor in Huntly, Virginia is a stately retreat overlooking Shenandoah National Park. Nostalgic elegance radiates from the fire-lit entrance hall to the stone wine cellar. Learn something new together by opting for the Epicurean package, and experience the art of the meal from a world-renowned chef while savoring wine and cheese then a five-course dinner at the Inn’s Houndstooth Restaurant. Complete your romantic experience with a relaxing couples massage in the intimate Tack Room Spa. Bloomsbury Inn in Camden, South Carolina features all-season fireplaces because the warmth can add a spark to any relationship. Offering full concierge services, romantic packages can be hand-tailored to your specific desires. All guest rooms feature private sitting areas and antique Italian tile bathrooms. The lovingly restored inn is close to many activities including history tours, golf, national steeplechase horse racing as well as shopping and restaurants. 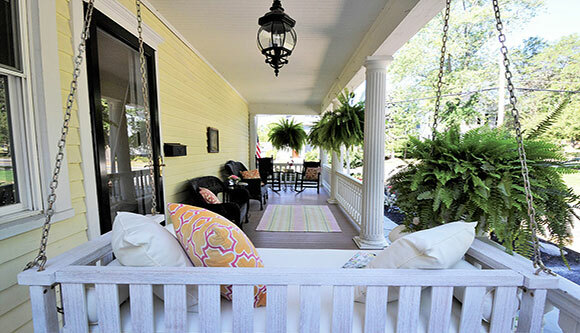 Point Clear Cottages Bed and Breakfast in Fairhope, Alabama is a secluded, tranquil paradise where couples can stroll through a graceful landscape of flowers, azaleas, and magnolias. Watch the sunset as you relax together on the hammock on the private dock. 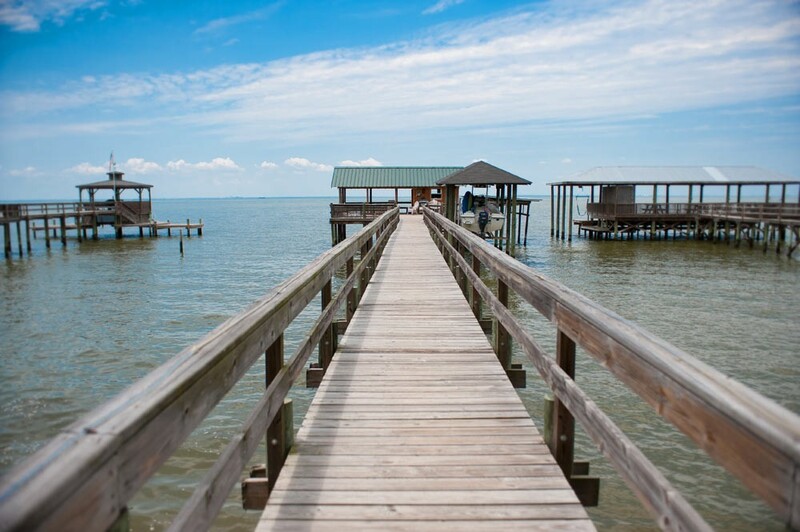 Steps from Mobile Bay, let the gentle breeze ruffle your hair as you sit on the front porch of Bayshore Cottage. Fresh flowers in each room add a sweet touch to the romantic atmosphere. 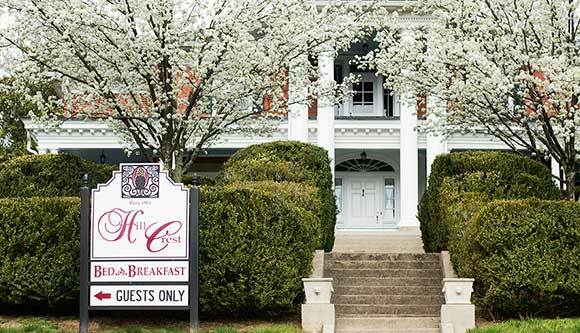 Hill Crest Bed and Breakfast in Clifton Forge, Virginia pampers guests with spa retreat bathrooms in all seven guest rooms. The extravagance continues with in-room massages, afternoon wine on the front porch, three or five-course meals, and nightly turn-down service with a nightcap and chocolate. The oak floors, grand stair well balustrades, columns, and crown molding are original to the house allowing lovebirds to walk in the footsteps of couples from the past. 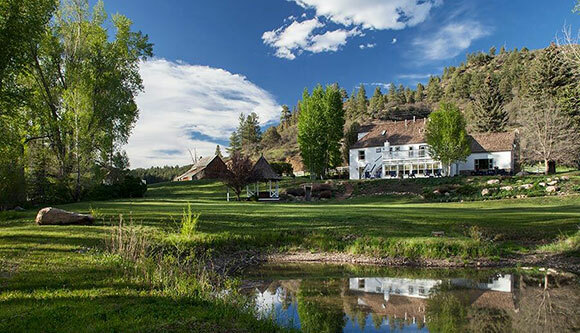 Antlers on the Creek Bed and Breakfast in Durango, Colorado is a mountain retreat with numerous honeymoon packages. Available to newly and “experienced” married couples, treat yourself to a bed turndown with scattered rose petals, breakfast in bed, hors d’oeuvres and wine or a growler of local craft beer, or a romantic couples massage. The gazebo hot tub is a popular spot for watching the sun set behind the mountains. Briar Patch Inn in Sedona, Arizona is a favorite spot for one special couple that returns each year to renew their love and plan their year together. The inn features 19 secluded cabins on nine sprawling acres. Let the sounds of nature enhance your massage in the open-air creekside gazebo. 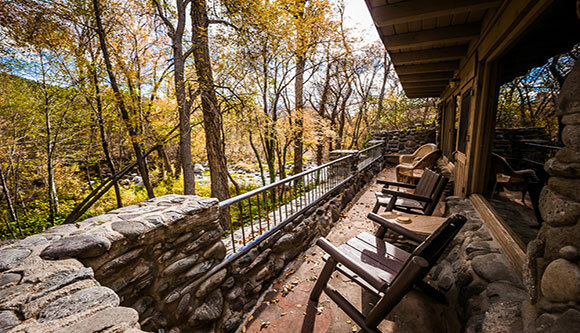 Spend all day relaxing on your private porch or hike to an even more secluded spot along the trails. Celebrate your love with a romantic retreat this year. 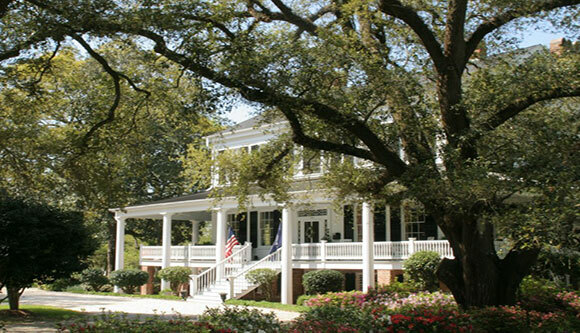 The innkeepers at each of these bed and breakfast inns will help create a getaway to make your spirit soar. To see more than 200 past winners of America’s Best Romantic Inns – a year by year list of “The Top 10 Best Romantic Inn” Click Here.